Since 2010 Linda Kronman and Andreas Zingerle work as the KairUs artist duo and have focused on researching topics such as spam, scam and Internet fraud. In August 2014 our research had evolved to the stage that we needed to take a field trip to West Africa, where a considerable number of so called advance fee fraud originates. Rather than hunting down scammers in Internet cafés, we were interested to see which technological affordances or limitations the scammers were faced with in this part of the world. 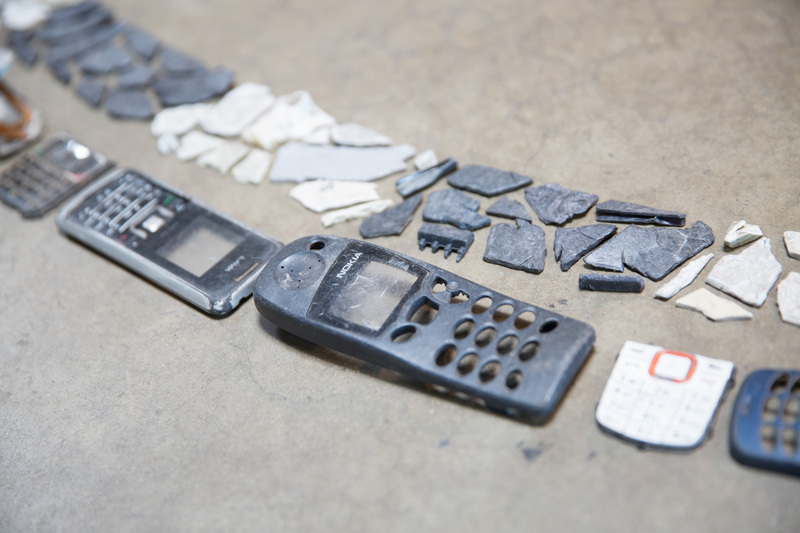 In our initial research we came across reports about an electronic waste dump called Agbogbloshie. In the middle of Ghana’s capital Accra, in this toxic wasteland by a lagoon, is where our electronics from developed countries are illegally dumped. There we bought 22 hard drives from old desktop and laptop computers, each cost around 3-5 USD. Once back in Austria our plan was to recover the data from the hard drives and offer the data and the hard drives as source material for artistic production. Together with the local net&culture hosting provider called servus.at we started a research lab. During two DIY-data recovery sessions we accessed data from three hard drives, just by plugging them in to a computer. This means that the data on the hard drives was not even deleted. Two hard drives were recovered by trying out open source tools such as PhotoRec, TestDisc and Partition Magic. Over an extended weekend we invited the international artists Emöke Bada (Hungary), Lilian Beidler (Switzerland), Joakim Blattmann (Norway), Simon Krenn (Austria), Fabian Kühfuss (Germany), Marit Roland (Norway), Matthias Urban, (Austria), Michael Wirthig (Austria) and Pim Zwier (Netherlands) to join us in Linz for a symposium with talks by Fieke Jansen (Tactical Tech), Dr. Michael Sonntag (Data forensic, JKU Linz) and Can Sinitras (data recovery). The artists who work with various mediums such as: soundart, interactive installations, videoart, performance and data visualizations spent the rest of the weekend discussing their concepts and prototyping first ideas. In the upcoming months we broadened our research and invited artists to write about their artistic research projects that deal with the saving, deleting and resurfacing of data. The outcome is a publication that available in a printed format as well digital in various formats. The publication includes essays by Fieke Jansen (Tactical Tech), Ivar Veermäe, Emilio Vavarella, Leo Selvaggio, Marloes de Valk, Research Team “Times of Waste”, Stefan Tiefengraber, Dr. Michael Sonntag and interviews with Audrey Samson and Michaela Lakova. 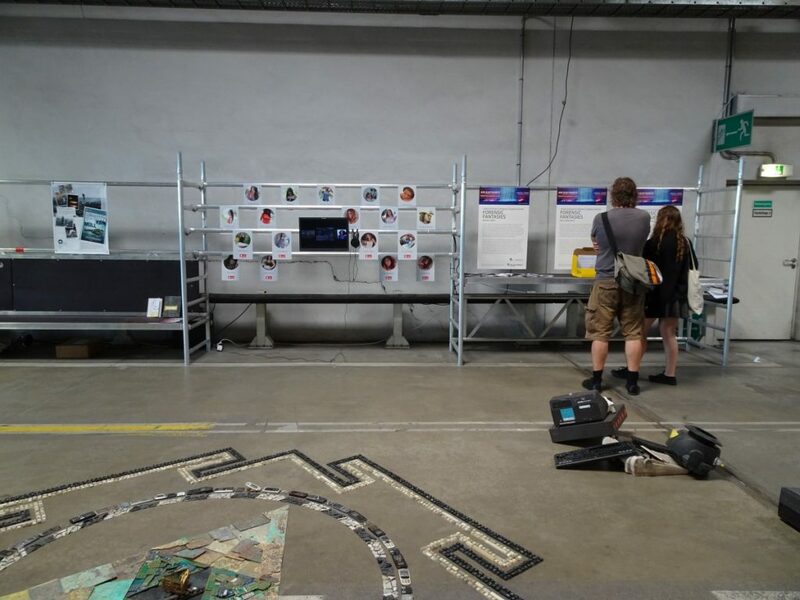 16 artworks from the ArtLab, the publication and an open call were curated into an exhibition for the 'Art Meets Radical Openness' - festival in Linz. The festival exhibition was co-curated by KairUs and Ushi Reiter and hosted by KunstRaum Goethestrasse xtd. 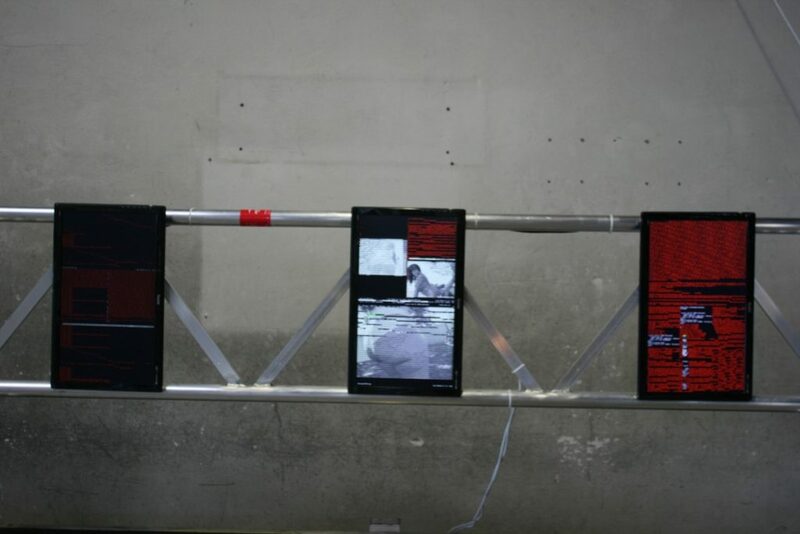 From this exhibition 5 artworks were selected for a presentation during the Ars Electronica festival. 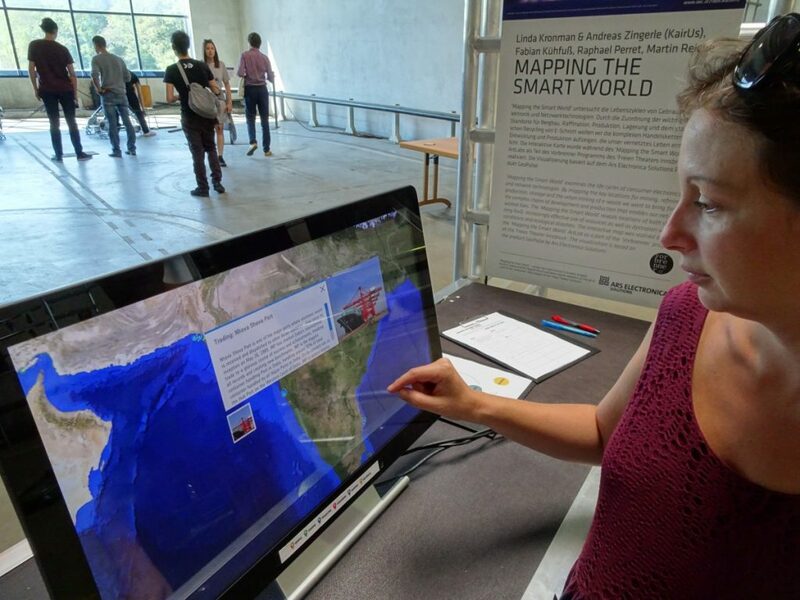 A new collaborative work 'Mapping the Smart World' was started with the exhibiting artists and was presented on the interactive GeoPulse system provided by Ars Electronica Solutions. 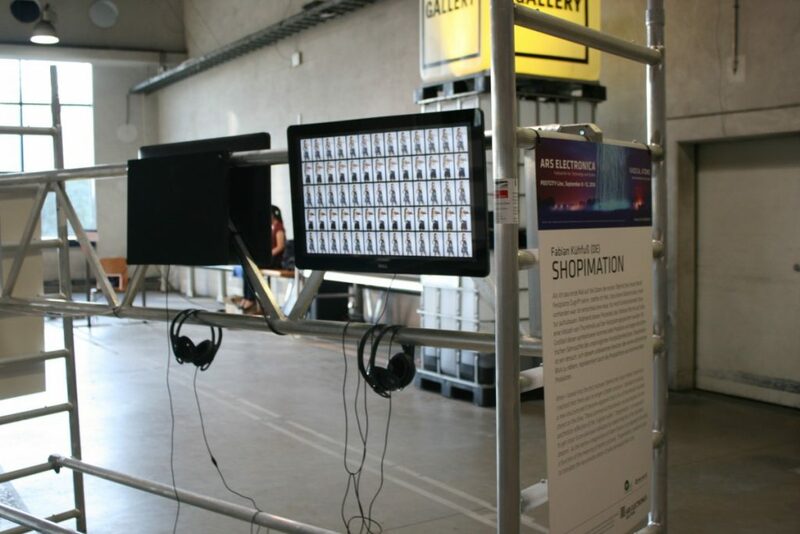 Our works where exhibited as part of the 'LabOratorium' exhibition organized by Ars Electronica Solutions in the huge Post City building. 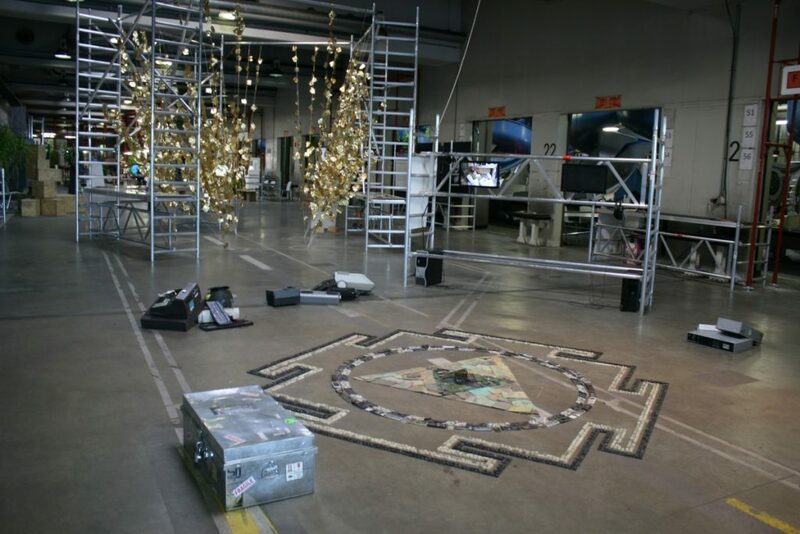 The electronic waste provided by Austrian recycling company Müller-Guttenbrunn Gruppe, Raphael's e-waste yantra and the rather low tech artworks stood in contrast to the techno-utopian mindset that was apparent in the Post City. We found this an excellent context to question the rather hidden, negative impact, that the 'smart world' technology has on humans and the environment. 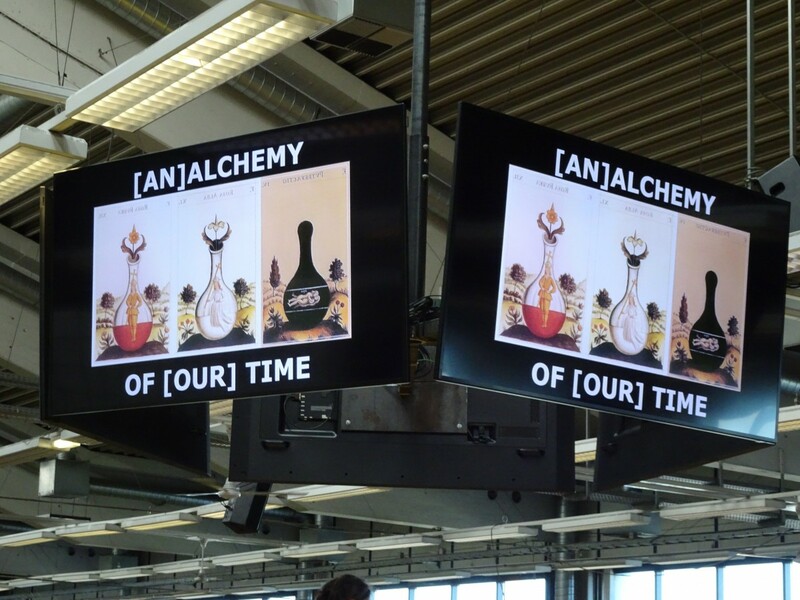 Several exhibitions in the Post City including the 'LabOratorium' had alchemists and alchemy as an overall theme asking; "Who are the alchemists of our time?" or "What is the Gold of our time?". Also the second session of the symposium (FRI 9 September 2016, 2:30PM-5:50PM) was devoted to this topic in which among others Siegfried Zielinski and Verena Kuni discussed how the ethics of the alchemist play an important role in their creations. 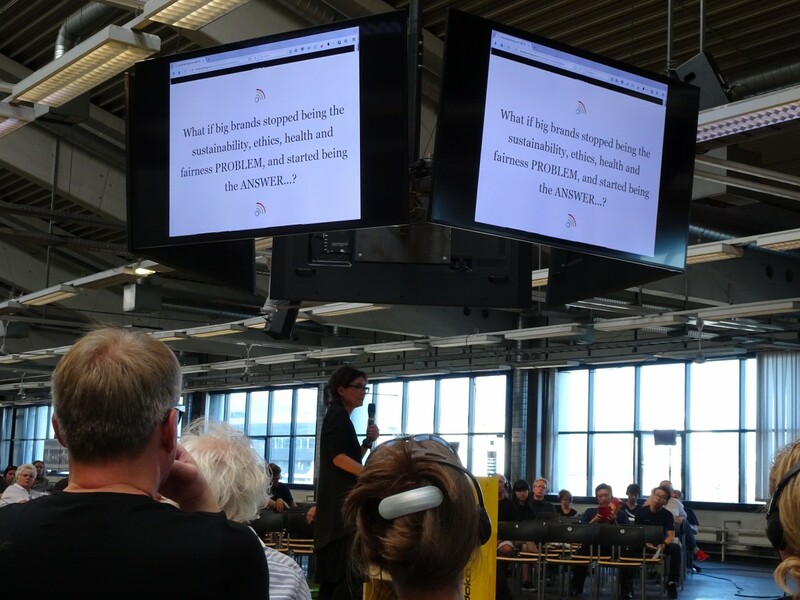 In her presentation (AN)ALCHEMIST Verena Kuni talked about reverse-engineering the four steps in the alchemist's search of gold, and reminded us how our consumer electronics are intertwined in complex networks that includes e-waste dumping, mining, poor labor conditions, etc. This talk supported well the perspective that the 'Behind the Smart World' Lab represents in the midst of the more utopian tech dreams. In the following discussion Zielinski disliked the (AN) in front of the word ALCHEMIST, whereas he meant that the ethical perspective always was included in the alchemist practices. If we as artists, designers, researchers, engineers are to be seen as the alchemists of our time, we should also take time to be more aware of the consequences technology has throughout its whole life cycle. Right now there is a lot to improve. It is not just the produced waste, or the toxic conditions of urban mining in some parts of the world that needs to be concidered. Some interesting discussions raised by the audience of the 'Behind the Smart World' exhibition included observations of the ruins of 'smart cities' or concerns of the amount of waste in space, that might hinder us to actually leave this planet, as so many scenarios portray it as the final salvation of the human race. ‘Shell Performance’ is an open-source software art installation that transforms an operating system into a performative space. The performance is fueled by the data that is available on all attached internal storage devices. The underlying software is a Linux shell script that is constantly scanning the contents of the hard drives for files. Running on the data retrieved from one of the ‘Behind the Smart World’ hard-drives, ‘Shell Performance’ questions integrity of data as much as issues of privacy, highlighting the questionable relationship we have with data and our urge to save everything to protect us from potential losses through malfunctions. Artistic statement: When I looked into the first restored ‘Behind the Smart World’ hard-drive, I realised that there was no longer a folder structure. I decided to build up a new structure and it became apparent that a lot of thumbnails had been stored on the drive. These commercial thumbnails are placeholders for the aesthetical reflection of the ‘original owner’. ‘Shopimation’ is an approach to get closer to an unknown individual by researching his or her ‘aesthetic dreams’. As the techno-imagination of Vilém Flusser is an approach of coding a function of the meaning of techno-pictures, ‘Shopimation’ could be a code to translate the very private dream of who one would like to be. ‘Forensic fantasies’ is a series of three artworks dealing with data breaches of private information. In the artworks we use data that was recovered from hard-drives that were dumped in Agbogbloshie, Ghana. 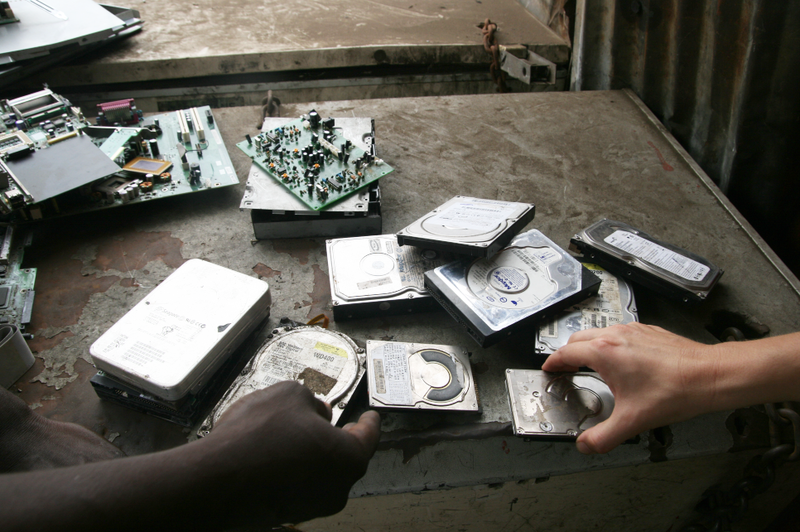 Reports suggest, that at this e-waste dump, criminals extract data from hard-drives to demand payments from their owners. ‘Not a Blackmail’ examines the possibility to blackmail a pre-owner of a hard-drive. Besides finding data of the owner it is crucial to be able to contact the person to express ones demands. From one hard-drive we could find out who it had belonged to. 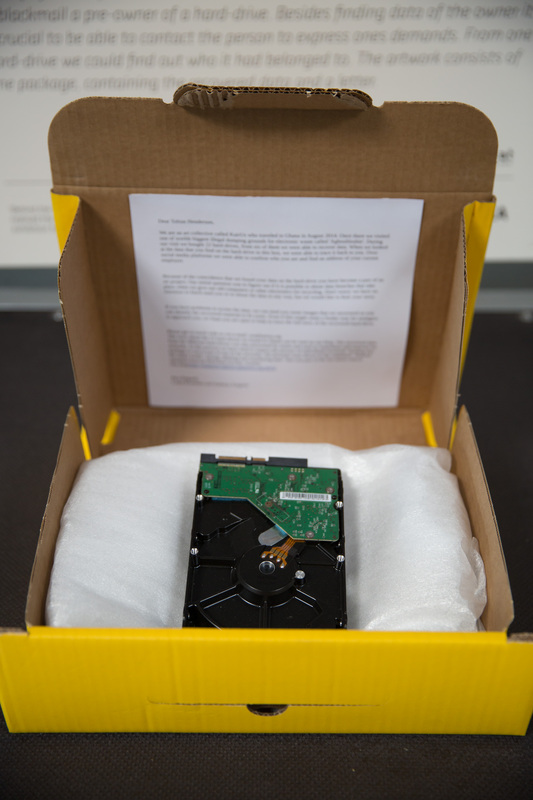 The artwork consists of one package, containing the recovered data and a letter. ‘Found footage stalkers’ takes a closer look at images found on one of the ‘Behind the Smart World’ hard-drives. Scanning through the private photos enables very personal insights into the life of the pre-owners of this hard-drive. It is similar to the feeling of stalking someone unknown online, one starts to create a story to these fragmented digital representations. By presenting the photos in an album we approach the material as ‘found footage’, the practice of gathering material flea markets for remixing and creating new artworks. Hence the artwork confronts earlier practices of using ‘found footage’ with now digital materials found amongst our trash. 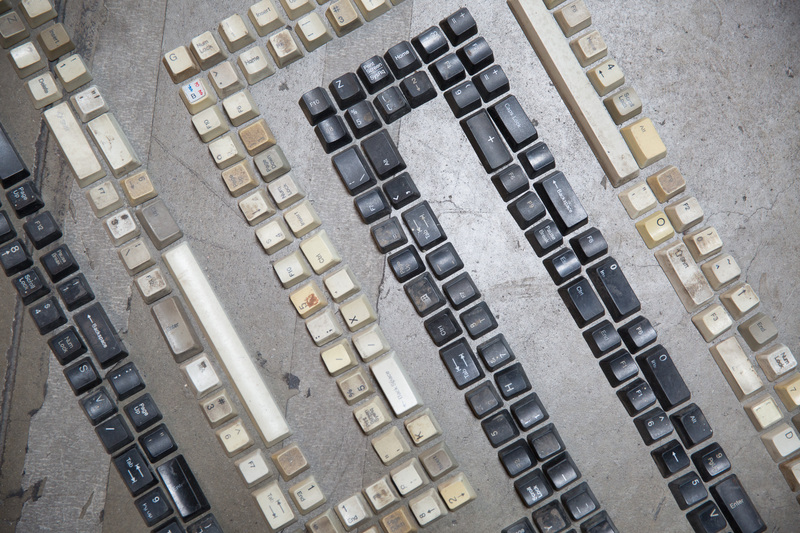 The installation ‘Recycling Yantra’ is on one hand a series of videos, documenting the informal e-waste recycling in Delhi, and on the other a contemporary interpretation of the tantric symbol ‘Smara-hara Yantra’ (Remover of Desire). The videos show how computers are collected, repaired, traded and taken apart over several steps, until all components are fed back into the production of new goods again. The yantra, composed of materials collected from the recycling process, is an energy diagram, comparable with a talisman which, in its original meaning, is supposed to help people free themselves from desire and the urges of consumer culture. 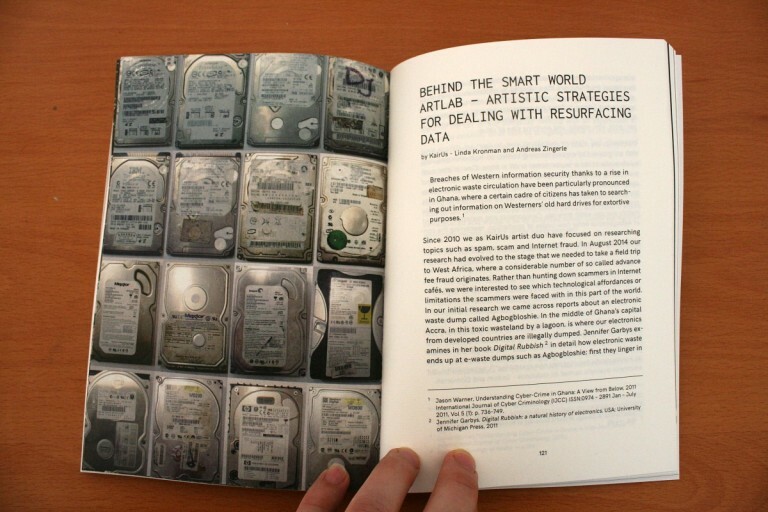 The most interesting thing of the ‘Behind the Smart World’ hard-drives is for Michael Wirthig the magnetic disc itself. It is the physical place where all kind of personal data is saved on. In former works I’ve made various studies about the relationship between inner and outer worlds. Therefore I dissected the hidden world of a number of different appliances to turn them inside out, e.g. disassembling machines. 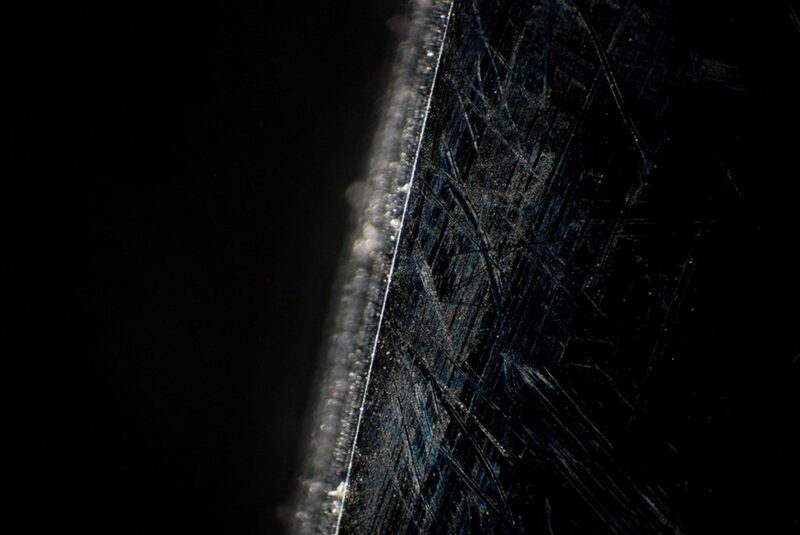 For ‘Headcrash’ I extracted the discs of 2 Ghana hard-drives and explored the surface with a microscope. 1500 photos of the inside and outside influences of the discs, like scratches or dust result in a 1 min tour de force about the inner world of these drives. 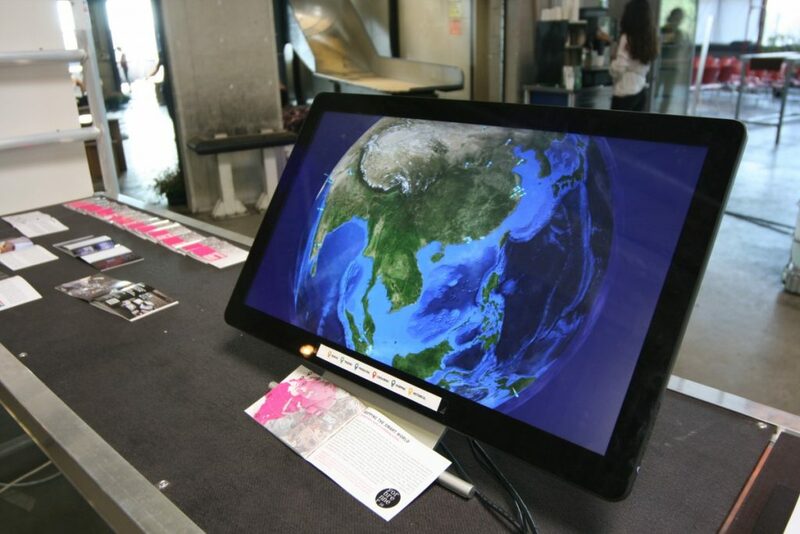 Collaborative work "Mapping the smart world"
‘Mapping the Smart World’ examines the life cycles of consumer electronics and network technologies. By mapping the key locations for mining, refining, production, storage and the urban mining of e-waste we want to bring forth the complex chains of development and production that enables our networked lives. The ‘Mapping the Smart World’ reveals locations of both stunning R&D, increasingly effective use of resources as well as dystopian working conditions and ecological disasters. 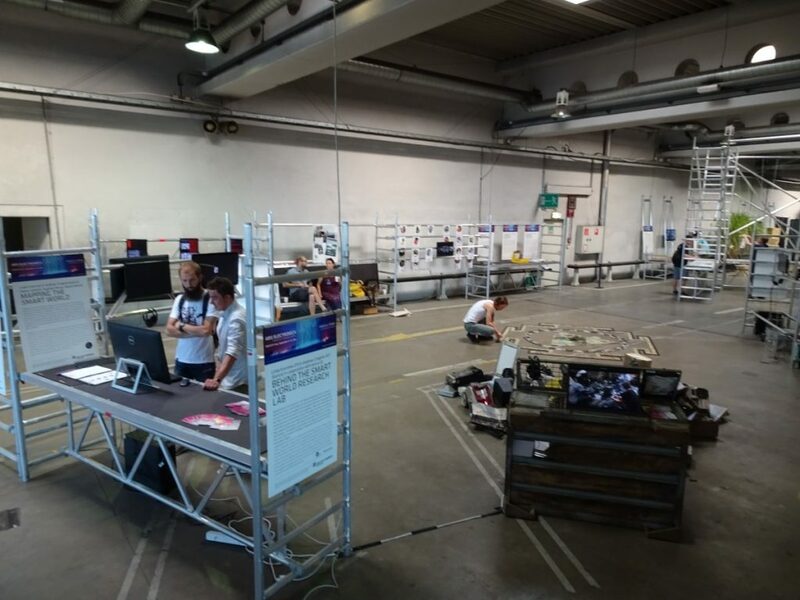 We were able to show a first ‘work in progress’ with the Geopulse system that Ars Electronica Solutions produced for ESA. To make the future research process more participatory, we want to port the map to an open source system and collaborate with other research groups.